The powerful Captain Marvel is ready for action! A powerhouse woman of the Marvel universe, this stylized vinyl figure captures Captain Marvel is a fun powerful pose. 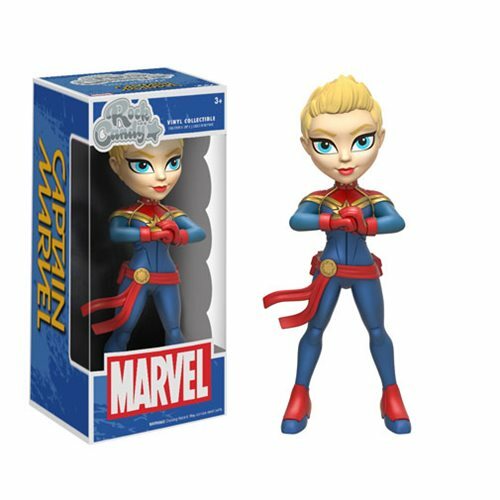 The Captain Marvel Rock Candy Vinyl Figure measures approximately 5-inches tall and comes packaged in a window display box. Ages 3 and up.